New Items From General Mills Convenience & Foodservice! General Mills Convenience is bringing one of America’s favorite snack items to the foodservice area of convenience stores! 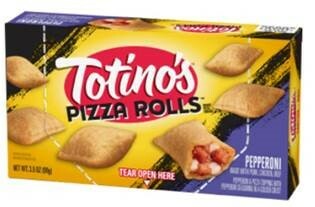 Totino’s™ Pizza Rolls, small bites of pepperoni pizza rolled in a snackable crust, allows retailers to offer their customers a hot, ready-to-eat snack option from a nostalgic brand. The packaging, exclusive to convenience stores, features two opening options for easy on-the-go eating. 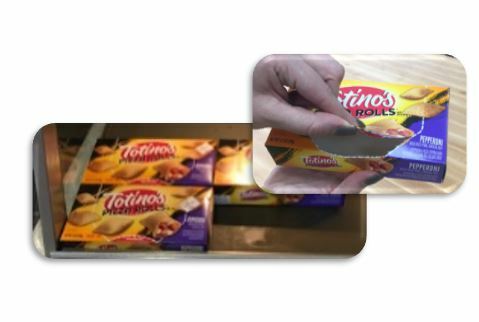 Branded sleeves come in the master case, and hold 8 pizza rolls each! 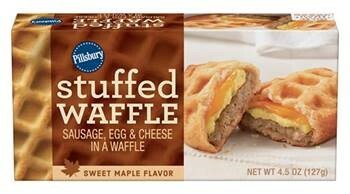 Whole sausage patty, real egg omelet, and cheddar cheese sealed neatly in a crispy, sweet maple flavored Belgian-style waffle. 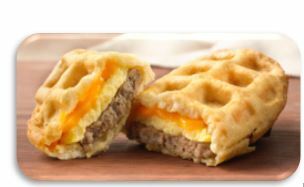 High quality ingredients provide superior taste in a unique, innovative new format that meets the growing demand of hot n’ ready handheld breakfast items! Branded sleeves come in the master case, and hold one stuffed waffle per sleeve!